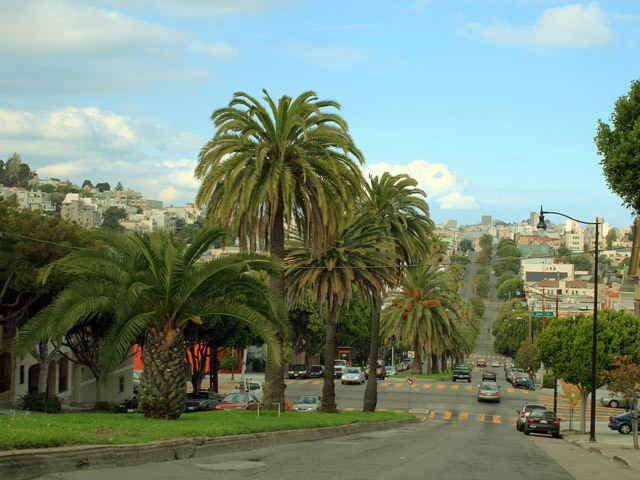 Parkways, such as Dolores, Park Presidio, Brotherhood Way, and the Great Highway have broad well-landscaped medians and sidewalks that provide recreational paths, while moving vehicles, bikes, and pedestrians across the city. 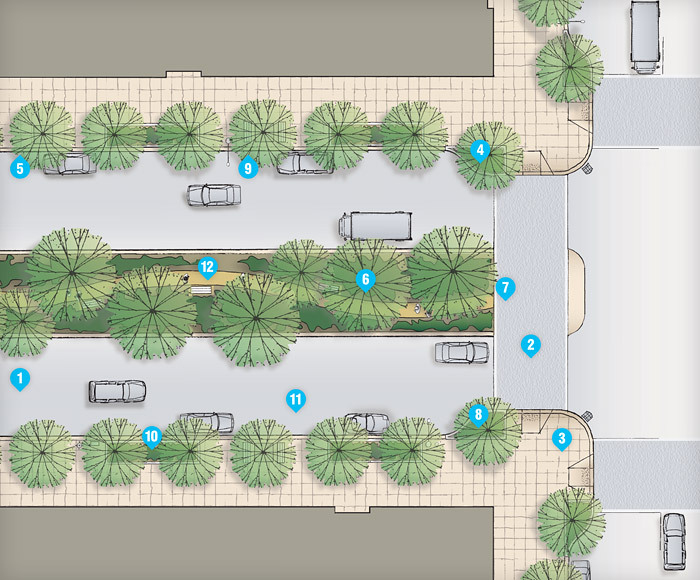 These streets can function not only as transportation corridors, but also as linear parks, creating a green network. 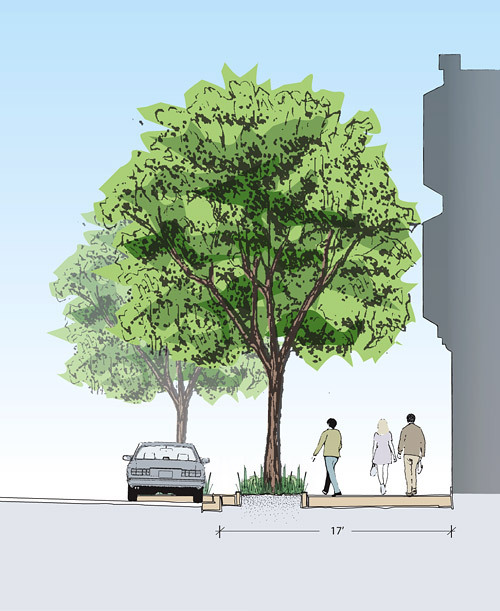 This green spaces can often be more effectively used for pedestrian, open space, and ecological functions, by providing multi-use trails, seating, open space, and stormwater management. Parkways should include recreational spaces such as jogging paths in existing green spaces as width allows.